If you’re bored of Rainmeter starter skins and now you want to download new rainmeter skins? In this post, you will read about places to download Rainmeter skins for Windows 10. Rainmeter is one of the popular desktop customization software available for Windows operating system. 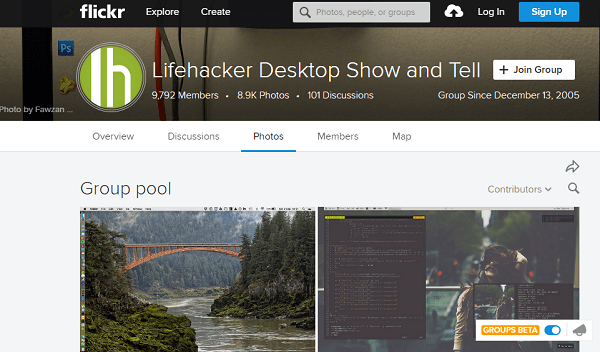 Take help of skins and themes to enhance your desktop experience. Even some skins help you in showing beneficial information at a glimpse. Rainmeter comes with pre-installed skins, and you can use these skins to learn how to install and customize rainmeter skins to refine the look of the desktops. After learning the installation process, there might be users who also want to download and install fresh rainmeter skins, so that to make their Windows 10 desktop look better. Right? Thankfully there are hundreds of skins available for you on the internet. There are lots of helpful designers who create Rainmeter skins and share it with other people. 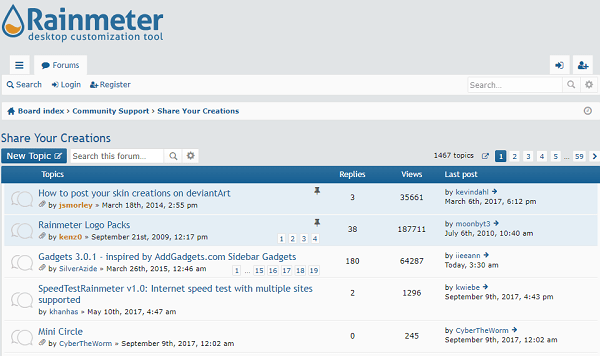 But the question is what are the places where these users upload the skins? 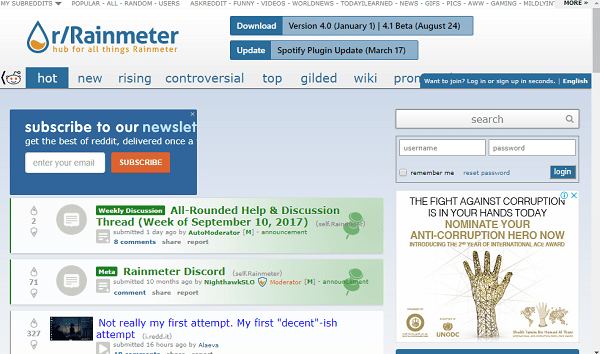 Users who’re not highly active on the internet might face difficulties in finding custom rainmeter skins. To help those users I decided to write this article in which you will read about the best places to download rainmeter skins for Windows 10. The good thing about these websites is that you can download as many skins of your choice for free. Note: Rainmeter itself also recommends all the website discussed below. So try to visit them to get quality related Skins. It is the world largest social community available on the internet dedicated to art enthusiast and artist. 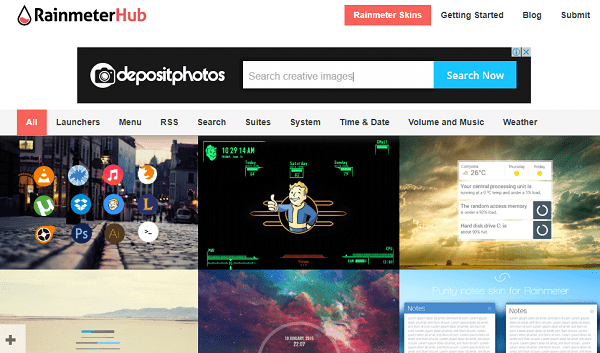 Apart from this, it is also named as biggest repositories of Rainmeter skins and other resources. You can visit the website and browse entire Rainmeter Category. Another popular place where lots of creative minds sharing Rainmeter skins screenshots accompanied with information. You can also visit there to grab skin of your choice for your Windows 10 desktop. Rainmeter subreddit with name Rainmeter is another good place to look for latest and new rainmeter skins. Appart from this, on this Rainmeter skins, reddit you’ll also find out tips to enhance your desktop using Raimeter accompanied with other troubleshooting guides. How we can forget to Rainmeter’s forum while talking about Rainmeter Skins. It is the place where almost all the fresh and innovative skins are developed. So keep visiting this page for grabbing something new. Note: Some other places to download Rainmeter Skins, not recommended by Rainmeter. But they have plenty of themes which you might love to install on your Windows 10. 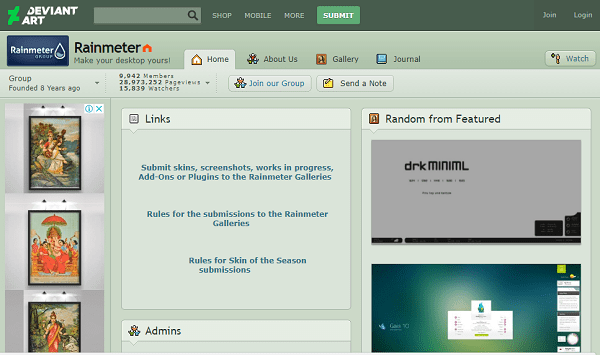 You can also try a great collection of RainmeterHub. 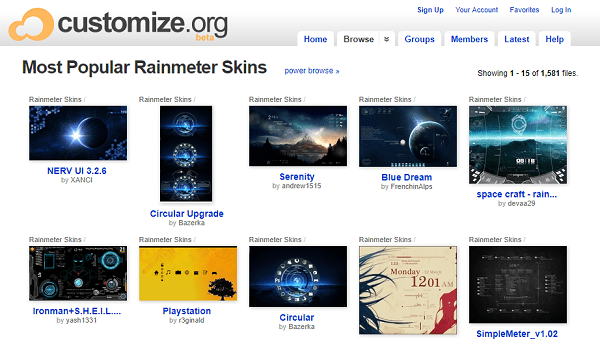 The Rainmeter skins, suites, and other resource are available for free on the website. The themes available on the website are easy to install and customize. They offer some of the best collection of Rainmeter skins to download for free. You can check out there Rainmeter popular section. Note: Before downloading any Rainmeter Skins from the sites discussed above special attention is advised while downloading and installing themes. 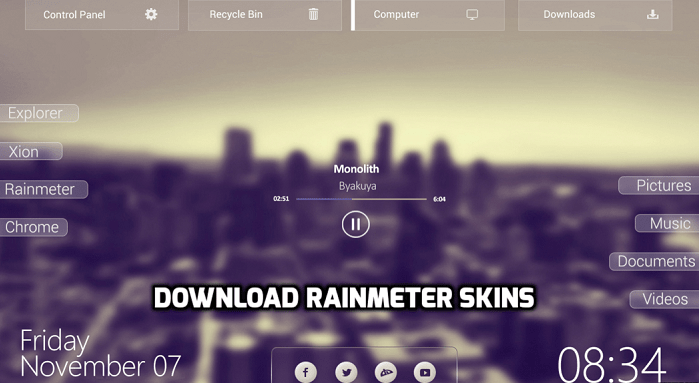 Don’t forget to share in the comments which site you bookmarked to download Rainmeter skins for Windows 10 machine.